Happy FREE DINING! It’s BACK!!! 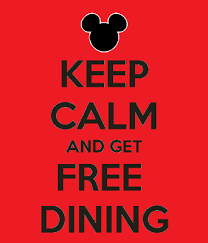 Free dining is here for 2018 stays and when you book with me you will also get FREE MONEY on any booking $3000 or more! Here are the details! FALL ROOM DISCOUNTS are also available and MAY BE THE BETTER CHOICE! Fear not, when you book with me I will work to get you the offer that best fits your needs and gives you the best price. INVENTORY IS LIMITED- I cannot stress this enough. Please realize that this offer is limited and does book quickly. Contact me today to get started. TO BOOK- Email Jess@pixievacations.com and send me your dates of travel, top three resort choices or resort category, and names and ages of each guest traveling. I will hold a room for you! You sit back, relax and enjoy my magic! You can also request a quote here. Don’t forget when you book with me you are a VIP every step of the way; no need to hire that guide! My service is at no cost to you and with my pixie dust you will create the best memories! ← NEW SUMMER OFFERS ARE HERE! FREE DINING FOR KIDS!